Echinacea has a colourful history. It was first used by American Indian tribes. Only the medicine man knew the secrets of the various plants which he would use to heal diseases. And he would only pass on these secrets to his successor when he felt himself to be near to death. So it was a very unusual yet lucky occurrence when a white doctor befriended a medicine man and learnt of the immense medicinal value of Echinacea, a plant belonging to the daisy family. This doctor was named Meyer and he introduced western doctors to Echinacea. His long list of medicinal claims for Echinacea was met with derision. But this scorn soon turned into admiration, when the plant was shown to be effective. Since then, the herb has been included in recognised formularies and pharmacopeias, and over 400 scientific papers have been published on its chemistry and clinical uses. It has become one of the most popular herbal medicines in the world. Echinacea increases the disease fighting capability of the body by increasing the response that naturally occurs when the body fights off disease. It can be used as a preventative medicine to ward off disease or as a treatment for diseases. The Equine Research Centre in Canada has recently done extensive testing of Echinacea in horses. Their trial used eight horses. Each horse was fed Echinacea for 42 days then fed no Echinacea for a further 42 days. Blood samples were taken and subjected to a complete screen every seven days. The results were dramatic. The Echinacea increased the level of red blood cells, lymphocytes (involved with the immune response) and haemoglobin (oxygen carrier). It increased the activity of the neutrophils (cells which consume foreign particles in the blood). Another study treated horses with strangles using Echinacea. Within 24 hours, there was a noticeable improvement in symptoms and general condition and the horse’s appetites returned to normal. In humans, a mixture of Echinacea and vitamin C was shown to reduce the average number of days of a common cold and reduce the severity of the symptoms. Echinacea has been found to be “virtually non-toxic” with no side-effects. Massive doses (many times the human therapeutic dose) were given to mice with no ill effects. If used continuously for a long time, Echinacea starts to lose its effect. So it is recommended to use for no longer than 8 weeks followed by a one week rest period. After the rest period, the Echinacea’s effect should be optimal again. Our horses, especially competitive horses who are transported from event to event on a regular basis, are exposed to a wide variety of pathogens. Echinacea can help fight these pathogens off. This is why Echinacea is becoming one of the most widely used herbs in the equine industry. Hi Beryl… I have a very sick horse at the moment WBC count was 21 and fibrogen level of 11.. He is trying to fight an infection and i was wondering if echinacea will help bring him back to normal blood cell counts. I have spent thousands of dollars with vets and western medicene (penicillian) but nothing is working and we are no better off… Your advice would be much appreciated. Thanks Beryl.. I will get some today… Would you please give me an indictation of how much to use for my horse… I will contact you with the human dosage. 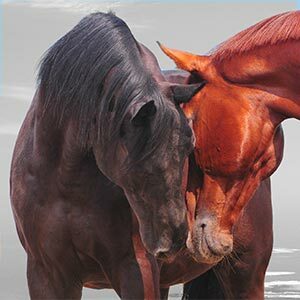 These results indicate that your horse is trying to fight off an infection and that inflammation is occurring. Probably a virus of some sort. Your best chance is to boost his immune system and yes, Echinacea has been shown to do that (http://www.ncbi.nlm.nih.gov/pubmed/12108738?ordinalpos=2&itool=EntrezSystem2.PEntrez.Pubmed.Pubmed_ResultsPanel.Pubmed_DefaultReportPanel.Pubmed_RVDocSum). Initially, you might find that it increases the WBC, but that is a good thing as it increases his ability to fight whatever it is that is causing this. See if you can find a horse product containing Echinacea, otherwise buy a human tincture and adjust the dose according to body weight. How much Echinacea do you feed a horse per day? Hi Connie. Feed about 10 grams a day. This is a small handful or a heaped dessert spoonful. Where can you buy equine echinacea in Canada?